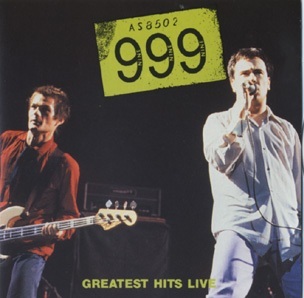 This out-of-print album does exactly what it says on the tin; 999, hits, live. The story doesn't end here, though. There's another important chapter in the 999 (more HERE) saga. If you wanna hear about it, I need to hear from you in the COMMENTS section. YES,PLEASE - MORE,MORE,MORE ! I Love 999 & Enjoyed Seeing Them Several Times (As A Matter Of Fact,Their Show Was My "Bachelor Party" For My 1st Wife Back In 1980! Heck yes, we want more. There's no need to be coy, Roy! Today's post is for you two guys!